Samples with more of these cells were more likely to come from patients, whose cancer had spread or were more aggressive. 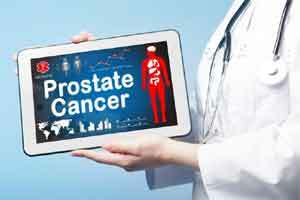 This means that, in the future, these particular cells could potentially be used as a marker to monitor prostate cancer patients and predict if the disease is going to spread alongside other monitoring techniques. There are around 46,500 new cases of prostate cancer each year in the UK, and around 11,000 people die from the disease each year. “If we’re able to replicate these studies in larger groups of people, we may be able to one day predict the risk of someone’s cancer spreading so they can make more informed treatment decisions,” Lu added.